The caste system is, today, mired in controversy and steeped in various socio-economic issues that make it tricky political ground to tread on. The traditional professions of several ethnic groups and tribes, past their glory days, are challenged due to the advent of technology and its consequence: an information explosion. Attention spans have contracted as resources have multiplied, and many of these tribes lead a hand-to-mouth existence today with waning patronage for their offerings. 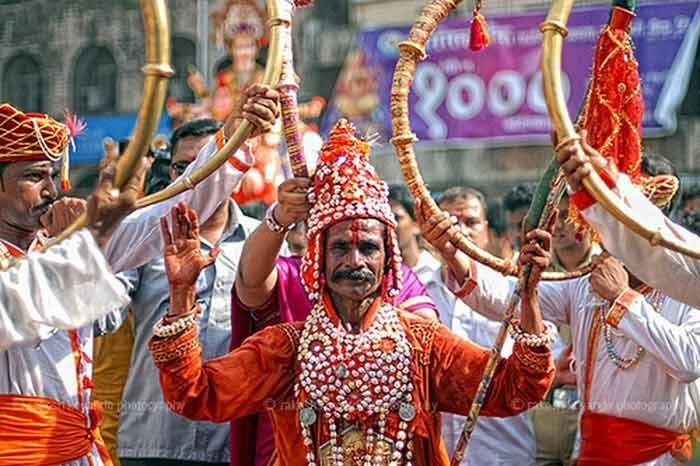 Literally meaning ‘commotion’, Gondhal is a Marathi folk theatre form that involves a dramatic narration of mythological tales and folk legends, and is generally a part of the rituals following important ceremonies such as weddings, or with the birth of a child. Performed exclusively by a group of men, there are two types of Gondhalis - the Kadamrai, who worship the goddess Bhavani of Tuljapur, and Renurai, who worship the Renuka of Mahur in Nanded district. 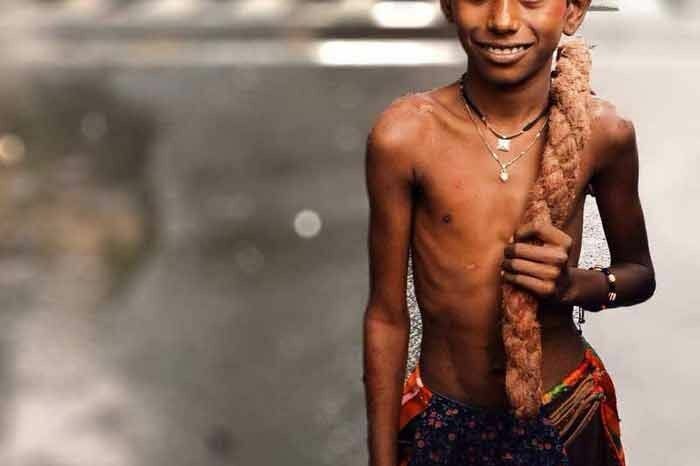 Young boys in the community obtain the right to perform Gondhal through an initiation ritual in which they wear a string of cowrie shells called ‘genmal’ given by five married males of the same caste. Taking place in front of the host’s house, the chief Gondhali – clad in traditional knee-length attire, cowrie shells, gondas (tassels) and a kanganidar pagri (turban) - leads the devotional singing or dramatic narration, and has three to six men accompanying him with instruments like tal or cymbals, sambaland chaundkedrums, conch, and the stringed tuntune. The performance of the Gondhal follows a particular structure, but what’s really interesting about it though is the several social messages they try to incorporate through their jokes and anecdotes – whether it’s about how to keep the peace between your wife and mother-in-law, dedicating your time and money to your family or treating everyone with equal respect, the Gondhal dance is full of nuggets of wisdom. Performed before a small gathering of people, it is also a more intimate performance than that performed before a stage-audience. Hailing from Maharashtra, members of the nomadic tribe of Potraj worship a goddess called ‘Kadak Lakshmi’. Their profession traditionally leads them to travel and ask for alms in a manner that is literally back-breaking. While the women perch a small platform on their heads upon which they mount their deity, and play the dhol, the men dance and twirl to the beats and flagellate themselves with heavy, knotted whips made of jute, leather or woven coir. The whips generally weigh about 10 kilograms each, and if you’ve ever seen one of these performances on the street, you’re highly unlikely to forget the resounding noise the whips make as they land on their backs. Children are often initiated into this ritual at a young age so as to build their tolerance for pain, with the weight of the whips increasing in relation to their age. The Potraj community wanders from city to city, and members often lead a hand-to-mouth existence from their negligible earnings and their exposure to harsh conditions over the course of their travels. Traditionally dancers, singers and performers for centuries together, the Dombari community strive to earn their livelihood with street performances such as young girls walking on tight ropes stretched between two bamboo poles or young gymnasts exhibiting their dexterity on the roads of a city. Exposure to the elements and the gruelling conditions they live in lead to a very low quality of life, and the Marathi realistic social drama film ‘Dombari’ sheds light on a lot of the problems they face, including limited availability of shelter, medicine and education. 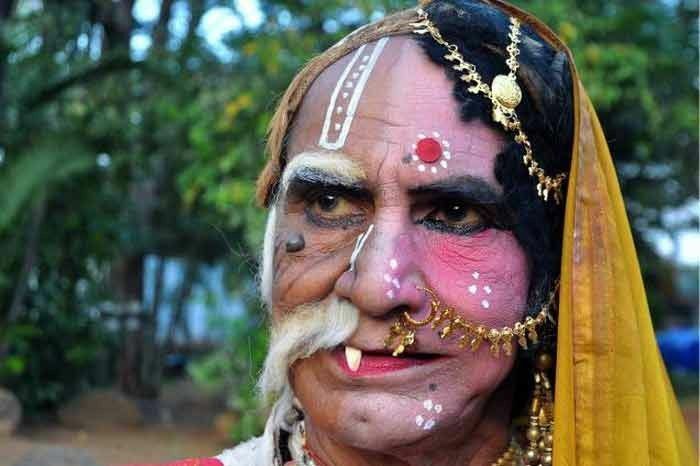 They are generally to be found around Pune, Kolhapur, Satara, and Sangli in Maharashtra and both men and women of the Dombari community can also be found performing the popular theatre-form tamasha in these parts of the state. Scattered all over India, Doms have traditionally been renowned for their inclination to music, as described by medieval history, with certain ragas such as Dombakriti, Dombakriya, Dombakrī, and Domb named after them. In more recent times, acrobatic feats, juggling and street performances have taken precedence and a typical show is often referred to as Dombaryacha khel (DombaraaTa in the south of India), where in the entire family participates in the show. While the older male members put up a display of gruelling self-flagellation, younger ones balance an hour-glass shaped object on a string stretched taut between two sticks. This object is flung upwards almost 50 feet in the air before being caught in the string on its way down with uncanny prowess. Dogs and pets are also often adopted and trained as a part of these performances. Originally hailing from the Nilgiri hills in Tamil Nadu, the Makadwala community eventually migrated to other regions in the vicinity including Andhra Pradesh, Gujarat and Maharashtra, coming to Mumbai only post-1950. Searching for a better way of life, the Makadwalas have dabbled in several occupations to earn their livelihood, one of their primary means being street shows with monkeys. More recently, they have also been involved in weaving baskets and making brooms. V. Warli Art By The Warli Community, The Maklhar Koli, Kathodi Etc. Warli art is today one of the most popular and easily recognisable traditional art forms of Maharashtra that has made its presence felt in the urban sphere as well, with the Warli community’s rudimentary paintings dating back to 2500 or 3000 BCE. Other communities that practise this art form are Malkhar koli, Kathodi, Kokana and Dhodi tribes found to the north of Mumbai. Using only a circle, a triangle and a square, the monosyllabic ritual wall paintings often surrounded the themes of hunting, fishes, dances and trees and animals; as opposed to depicting mythical stories, these documented the social lives of the community. Interestingly, the circle and triangle come from the tribals’ observation of nature – the sun and the moon, and trees and mountains simplified into their basic shapes - around them whereas the square is a relatively ‘man-made’, denoting pastures of land. Squares are generally the element that these paintings are built around, known as the ‘chauk’ which is of two kinds – the lagnachauk or the devchauk, the latter hosting ‘palaghata’, a goddess signifying fertility. 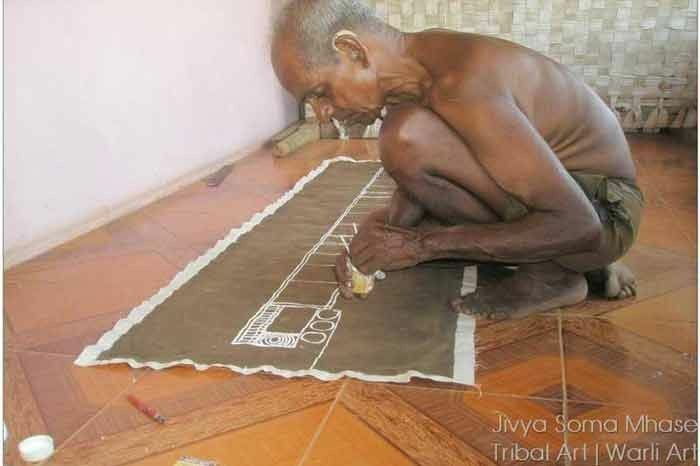 The Warli paintings were generally done on the ochre walls inside huts, which were made of branches, earth and cow dung. White pigment which was a mixture of rice paste and water, with gum to bind it together, was used to paint these walls with bamboo sticks chewed at the end to use as a brush. These rudimentary paintings, the mainstay of the women in the community till the 1970’s, depicted animals and humans with two triangles joined at the tip, the precarious structure symbolising the balance of the universe, a simple figure that has caught on famously in animation and fabric prints today. Located all over Deccan peninsula, the Gond community is one of the most populous tribes in South Asia, and perhaps the world and Gondi have an incredible flair for aesthetics. Pardhans are bards by lineage, and these traditional storytellers narrate stories about Gond legends and myths rooted in a rich oral tradition, with narratives like the Gondwani and Ramayani binding the community together. The Gond myth of creation speaks of the god Badadev, who crafted the earth and every living being residing on it, with different myths about the origin of the Gond kings, of different trees, especially the mahua, and the flowers and fruits, which are central to their life. Both the inner and outer walls of Gond houses are often are beautifully decorated with digna, a traditional geometric pattern, and bhittichitra, an amalgamation of animals, flowers and leaves, painted with handmade brushes of neem or a babul twig, and a rag. They also express their creativity through the gudna, or tattoos, with images of the sun, moon and other elements of nature traced on body parts; these tattoos are said to accompany them beyond death, and to the next world. The Gond women also have a distinct sense of dressing; traditionally foregoing a blouse, their saris are draped in a different fashion and they generally wear various types of hamshi or necklaces Their ornaments also include the bhimindia dhar, worn on the head, and a series of hairpins. Floor-painting, pottery and basket-making are other activities they partake in, and they’re immensely fond of music and dance, creating musical instruments with the materials available to them as well. Bahurupi translating into ‘various appearances,’ the eponymous community is the ultimate personification of versatility – the artists changed their veshas or appearances, mannerisms and modes of speech to assume different personalities with unaffected ease, playing out their characters roadside or at crossroads. Their performances used to be loaded with melodrama, exaggerated dialogues and a social commentary that was engaging and hilarious. Legend has it that bahurupis used to be hired as spies by kings in the past, and they go by a variety of different names, such as Bahurupgyaru in Karnataka, Rayaran in Khandesh, and Rayadar in Marathwada. Besides performing in plays, dances and dramatic narrations, the community also used to be engage audiences in traditional folk entertainment with myriad renditions of various gods and animals in a bygone era. With an upswing in education, information technology and urbanisation in the 20th century, though, the demand for such rudimentary forms of entertainment has significantly waned and consequently led to much heart-wrenching poverty within the community. The Garodis or Garodiya are generally found in parts of Northern Karnataka and Maharashtra (Belgaum, Kolhapur, Sangli , Pune and Miraj). They’re a wandering tribe of snake charmers and jugglers who have been considered to be a Muslim sect, converted from Scheduled Castes. The Irula tribes of Tamil Nadu and Kerala are also involved in similar professions; they’ve perfected the art of catching poisonous snakes, and extracting and collecting venom from them. This nomadic community tells stories from legends, mythical folklore and the Puranas through vivid paintings on leaves, with 20 or more paintings or ‘chitras’ depicting one story kept in a bundle called a ‘pothi’. 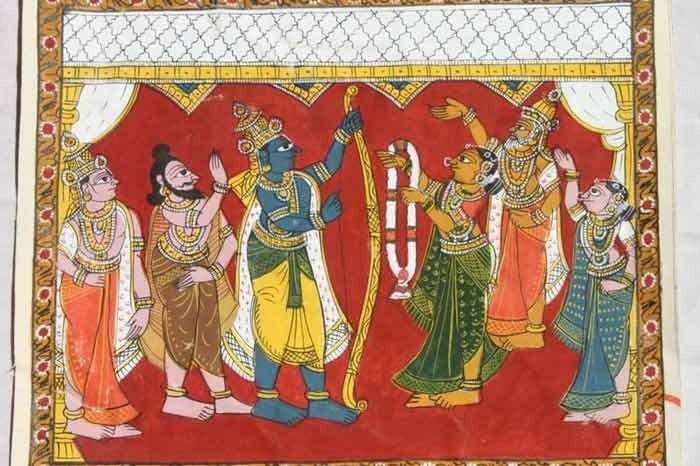 The paithani paintings or chitrakatha often resemble puppets, especially with regards to their expressions and the stories vary depending on which region the storyteller hails from. Chitrakathi is often performed on special occasions in the temples of the Konkan region; the oral narratives being inspired from epics like the Ramayana, Mahabharata and Puranas. Performed similar to a keertan, folk instruments like the dholki and the veena are accompanied by hand-made paintings, and the lead performer is assisted in the performance by two or three other artists. Chitrakathi is usually performed on festive occasions in the village temples of the Konkan region in Maharashtra. The oral narratives of Chitrakathi, inspired from texts like Ramayana, Mahabharata and Puranas, are performed in a keertan-like style using folk instruments like the dholki and the veena, accompanied by hand-made paintings portraying characters and events from the texts. The Naayak, or the lead performer, is assisted in the performance by two to three co-artists.